Archery and bow hunting is not just a sport to us. It is a passion! Whether bowhunting Whitetail deer, taking moose with a bow, bowhunting turkey, or taking the elusive elk with bow hunting equipment, we can't get enough. And so, we present Bow Hunting Info. Your one stop place to find all the information you need to know about your archery and bow hunting needs. All-in-all, we have over 400 pages of first hand hunting articles, archery tips, bow hunting gear and archery equipment, including product evaluations from bows and arrows to targets, knives, camouflage clothing, backpacks and so much more. If you can't find the bow and archery information you are looking for here, you can't find it anywhere! We are a site for bow hunters, by bow hunters about archery and bowhunting! Do you know what this is? I came across this while on one of my bow hunting conditioning hikes the other day. It is early July and I only have a couple of months to get back in shape for my Colorado elk bow hunt. 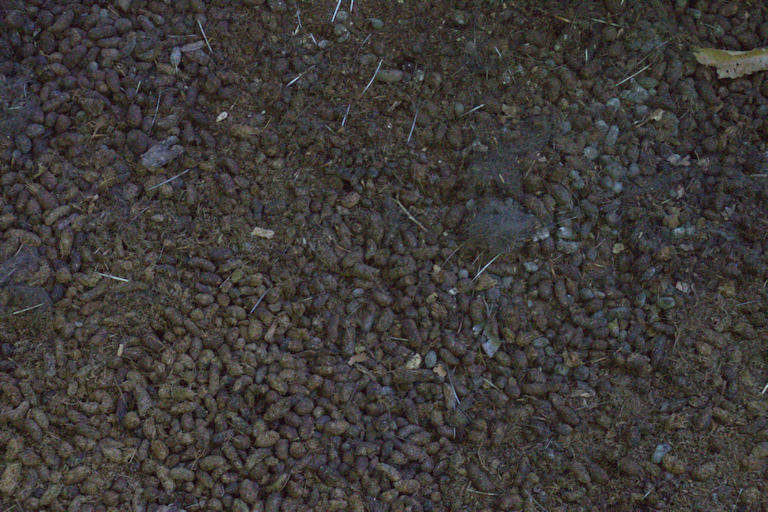 It looks a bit like rabbit pellets or maybe dear or elk droppings, but it is none of those. I have come across this a few years ago and couldn’t figure out what it could be until I did a bit of research. Hunting bows, bow sights, arrow rests, all of these and more can be found within this section. Additionally, we provide bow hunting and archery tips, suggestions on arrows, traditional archery hunting, modern compound hunting bows and more.